Image Comparer can find similar as well as fully identical images. The program algorithm works in such a way that different resolution, color number and compression level do not affect the comparison accuracy. The program can process images in various formats. Image Comparer will find similar images even if one of them has the JPEG format and the second is a standard Windows bitmap. The supported image formats are: RAW, JPEG, J2K, BMP, GIF, PNG, TIFF, TGA and others. Where to buy a license? To learn more about purchasing, click here, or you can follow this link and buy a license key. 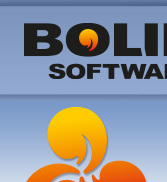 Other products by Bolide Software.